Chemical Cryolite (mafrolite) can be availed from us in different quantities. This chemical is quite rare and is powdery in nature. It is a natural white vitreous fluoride of aluminum & sodium and almost invisible in water. 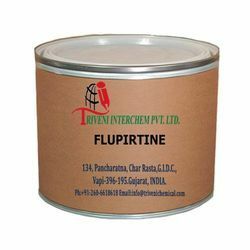 Flupirtine (‎56995-20-1) is solid. it is use in analgesic, migraines, oncology and postoperative care Industry. Storage: Keep container tightly closed. Keep container in a cool, well-ventilated area. 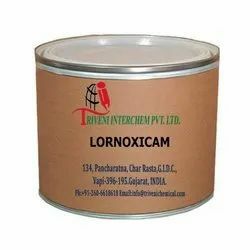 Lornoxicam (70374-39-9) is solid. it is use in nonsteroidal anti-inflammatory Industry. Storage: Keep container tightly closed. Keep container in a cool, well-ventilated area. Waste Disposal: Waste must be disposed of in accordance with federal, state and local environmental control regulations. Bamifylline Hydrochloride (20684-06-04). It is also known as Bamifylline Hcl. It is use in Analgesics, Bronchodilators and Vasodilators Industry. Looking for Analgesic API ?